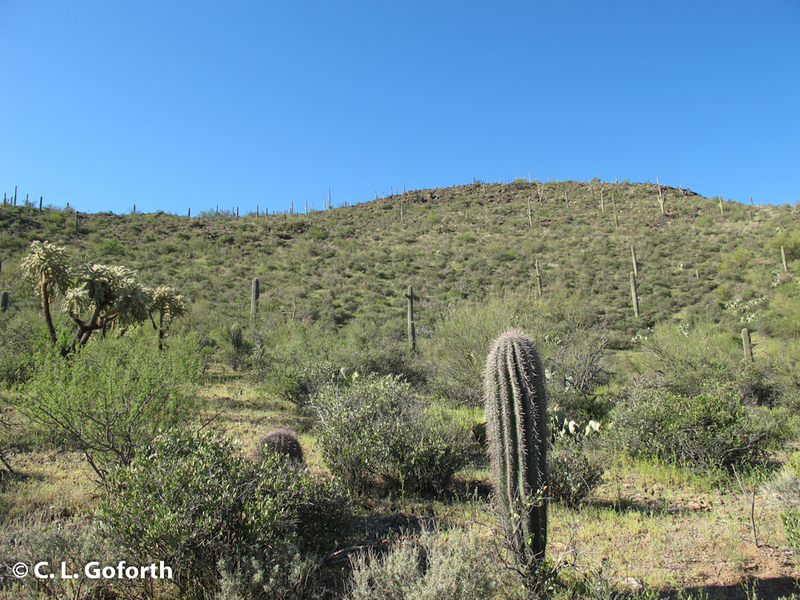 This particular hill has several insects that “hilltop,” including tarantula hawks and bot flies. It’s always fun to climb up there and watch the hilltoppers buzzing around looking for mates! Bot flies? BOT FLIES?! As in the flies that lay their eggs in human flesh??? I thought those were only found in the tropics! Oh. Whew. When I told took tropical biology in college my professor enjoyed terrifying us with parasite stories, so that’s where my brain immediately went. Morgan’s right – the local bot flies don’t infect humans. Instead they go for jackrabbits and packrats. The local bot flies infect jackrabbits and packrats. We’ve got a preserved, infected packrats in my dept, and the parasites are pretty impressive! Finding an active hilltop can lead to some amazing fly collecting! If you’re there at the right time and lucky, you can usually bring in multiple species of normally hard to find parasitoid flies, like bot flies, tachinids, thick-headed flies (Conopidae) and big-headed flies (Pipunculidae). I’m not really sure why so many parasitoids have converged on hilltopping as the place to date, but it can make for an exciting morning as a fly collector! I was afraid it was going to be about habitat destruction. I’m so glad it was a happy topic. And I learned something! Nope, a nice positive post this time! I love the cactus in the middle of the photo, looks so distinguished! Agreed! They’re darned dignified cacti in general. when in costa rica 2 years ago, my dear friend passed cutoms with a bot fly in back and the eggs eventually depositied in her flesh. they had to be removed surgically. she went 4 months without knowing what was causing the pain…. terrible thing. i felt so badly for her suffering. It happens. They’re kinda gross, especially if you’re not into bugs, but they’re still really cool flies! The species here infects jackrabbits and packrats, so they’re not the same kind your friend got. i meant in her back… yea. it’s one of those terror stories and i wouldn’t have believed it had i not seen it with my own eyes.